← Welcome to “Live Let and Hike”! 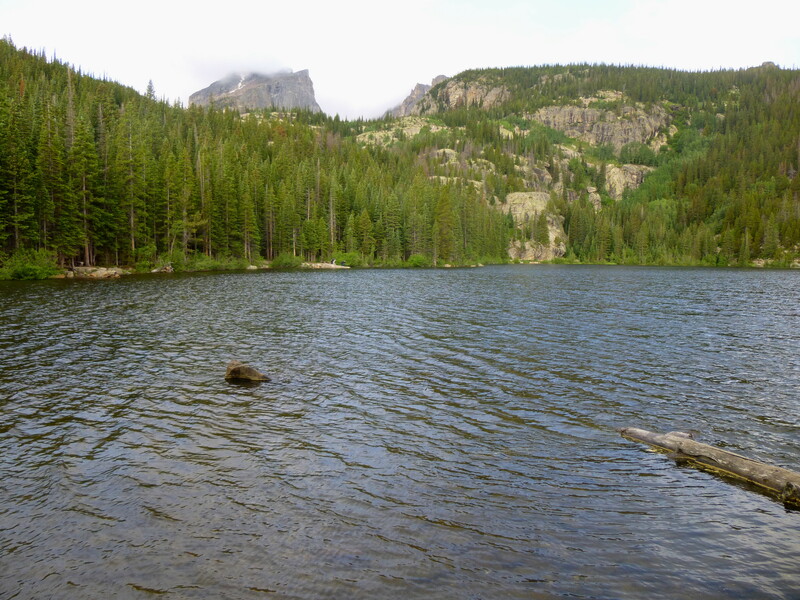 Many family trips to Rocky Mountain National Park begin with a short jaunt around peaceful Bear Lake, located on an elevated shelf above Glacier Creek at the foot of Flattop Mountain (12,324’) and Hallett Peak (12,713’). 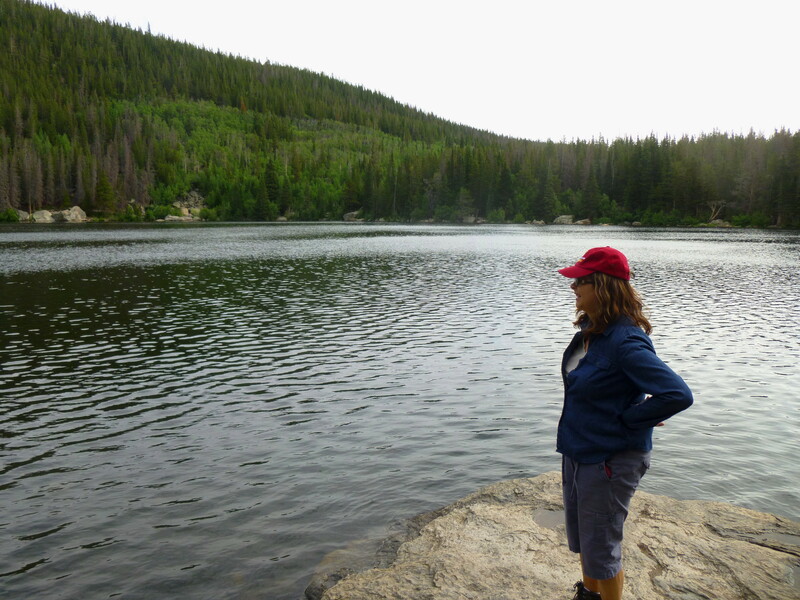 It is not often that a pristine body of water nestled up near the timberline is so easily accessible from the road, making this handicapped accessible hike a great introduction for families and gentle hikers. The downside, of course, is that Bear Lake is swimming with visitors, particularly in the afternoon. Get an early start or visit in the evening to avoid the crowds. 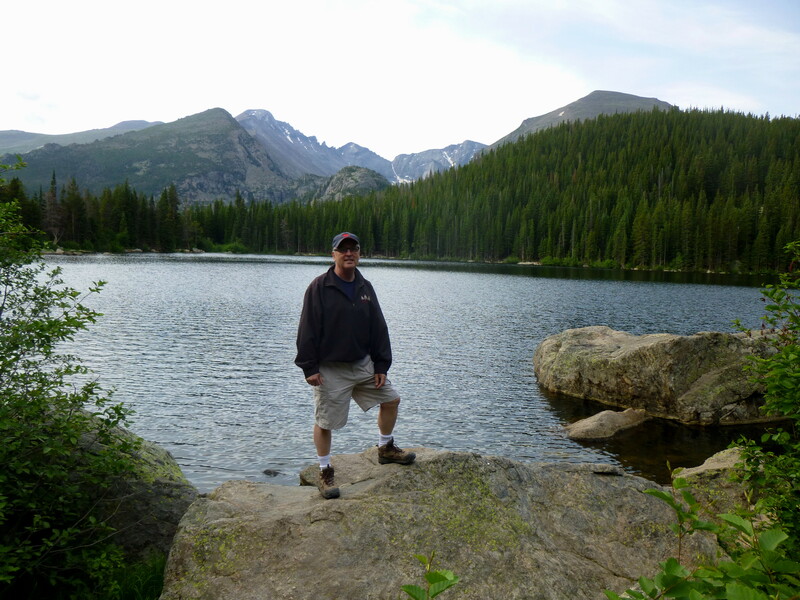 Visiting with my family, this was our first destination on a week-long trip to Rocky Mountain NP in July 2013. On a Saturday morning, the trail was crowded, but not unbearably so and therefore still quite quiet and peaceful. From the trailhead, the self-guided nature trail (a booklet is available) runs counterclockwise around the lake. The route for a more ambitious hike to Nymph, Dream, and Emerald Lakes veers off immediately to the left, followed after 1/10 mile by the junction with the Flattop Mountain/Bierstadt Lake route, which climbs northeast up to Bierstadt Moraine and beyond. Views of the lake appear almost immediately, beginning with a glimpse of stunning Hallett Peak towering nearly 3,000 feet above. This is perhaps the most intriguing view; if taking photos, however, the shot is likely to turn out best in the morning, with the sun at one’s back. Along the lake’s western edge, the trail descends again into the trees, though level rocks jutting out into the water continue to provide magnificent views. It is likely you will spot some fish here (though I believe fishing in Bear Lake is not allowed), and wildflowers (in the spring and summer) are omnipresent. Following a couple up-and-downs, the Bear Lake loop meets up again with the Emerald Lake offshoot, with the path back to the parking lot just another 100 yards. At a leisurely pace, the trip should take ½ hour-45 minutes in all. 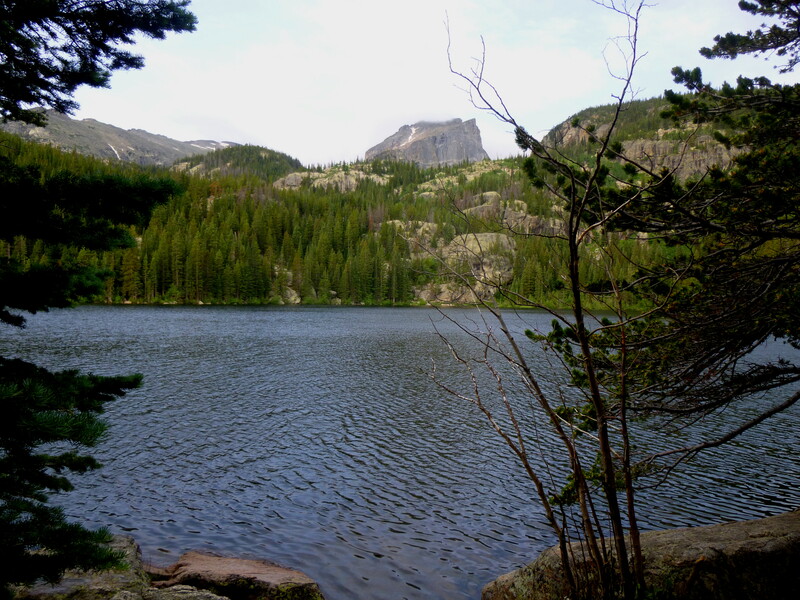 This entry was posted in Colorado, Easy Hikes, Rocky Mountain National Park and tagged Bear Lake, Colorado, Hallett Peak, Keyboard of the Winds, loop hike, Rocky Mountain National Park, wheelchair-accessible. Bookmark the permalink. That looks like an incredible place!